p>The grand hotel was erected to lodge B&O passengers. The railroad had just finished a new depot adjacent to the Willard. Both the Willard and the new depot were built by the same contractor and featured the same granite and brick. The Willard was a thoroughly modern hotel for its time and boasted one of the finest ballrooms in the area. The declining popularity of passenger trains during the 20th century took a heavy toll on the Willard. By the early 1960s, it was no longer used as a hotel but rather to house train crews. By 1988, it stood vacant. 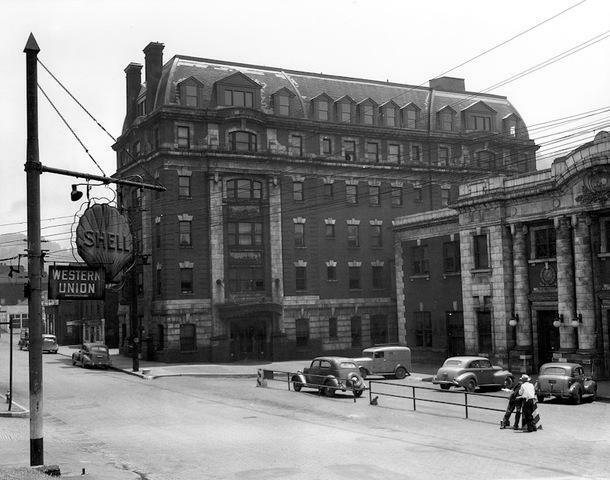 Beginning in the late 1990s, the Vandalia Heritage Foundation rehabilitated both the hotel and depot. The Willard Hotel is listed on the National Register of Historic Places as part of the Grafton Downtown Commercial Historic District.